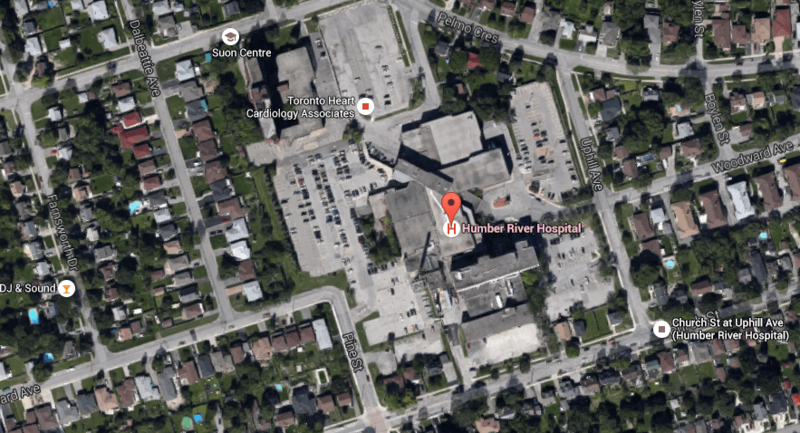 Author Adam NormanPosted on October 1, 2017 Categories Healthcare, Humber River Regional HospitalTags Church Street Site, HRRH, HRRH Church Street site, weston1 Comment on Could the Weston hospital re-open? The Toronto Star has a detailed article on the legal conflict over the Church Street hospital site. Frances Nunziata, despite her support of other high-rise developments in Weston, seems to have sensed changing public opinion. 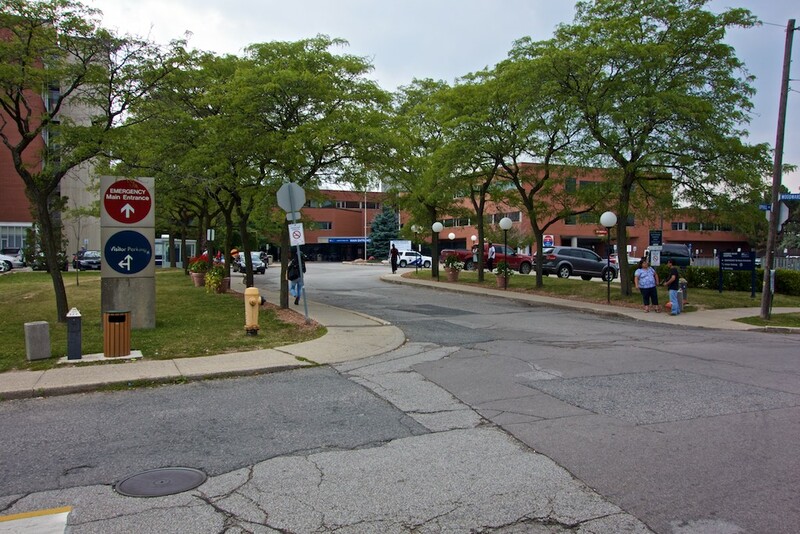 Some residents are concerned that the hospital will sell “to the highest bidder” [Nunziata says] who will build townhouses or condo towers — increasing density and traffic in the area. “The community wants a long-term care (facility), seniors’ residence, a child-care facility, they don’t want the hospital to sell it to a developer to build residential,” she said. The secret legal settlement offer will be considered—also in secret—at the next City Council meeting, on November 3. The settlement will only be made public if it is approved by council and only with the permission of the City Solicitor. 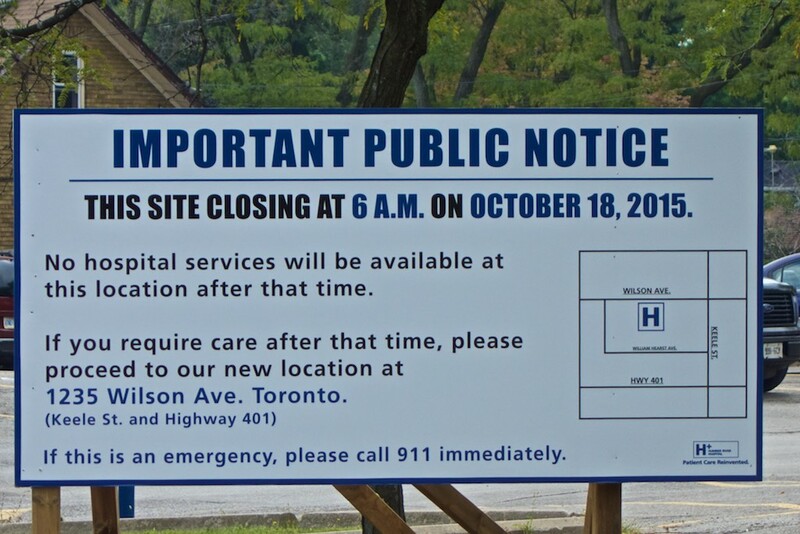 The Church Street site of Humber River Regional Hospital is closing in October and as Adam has pointed out in several articles, the land will be up for grabs. Many residents of Weston breathed a sigh of relief when they learned that benefactors who donated land for a hospital in Weston had made a condition of their donation that the land must always be used as a hospital. The donation was made to the town of Weston, whose successor is the City of Toronto. It’s not the whole site as the hospital has grown since 1948 but 1.2 acres (out of 11.5) is enough of a chunk to make development more challenging. The Humber River Regional Hospital site. Much speculation has occurred over what precisely should happen to the land. Recognizing that we live in a big city where real estate is expensive and development almost inevitable, what will happen to the site? Will there be open space? What kind of housing will be built? Will housing match that in the neighbourhood or will there be townhouse and high-rise development? Will the covenant be honoured and what form will that take? The entrance to the Church Street site. Unfortunately, ownership of land by the City did not protect the Farmers Market site from being sold off to a developer. The same fate awaits this parcel of land unless an eagle eye is kept on the process. The public needs to be informed and have input into every step and decision made along the way. No doubt there will be talk of wonderful collaborations with a developer but these will come with a cost as we found out recently with the Farmers Market site. Is it good news when things aren’t as bad as they once were? If so, then we have some good news! In 2007, Humber River Regional Hospital was one of the most dangerous hospitals in the country. It had the second worst mortality rate in Canada; the hospital even refused to release their numbers in 2007, the year it performed the worst. It was eventually forced to, and the results were quite shocking: 36% more people were dying there than were expected to. (Interesting trivia: George Smitherman, the Minister of Health at the time, and the person who forced them to release their data, was born at the HRRH Church Street site). ¹ My father is an epidemiologist. He would have a heart attack (hopefully at Mississauga’s Credit Valley Hospital, the best) if he saw me using stats like this. It’s complicated. It’s close enough, though.